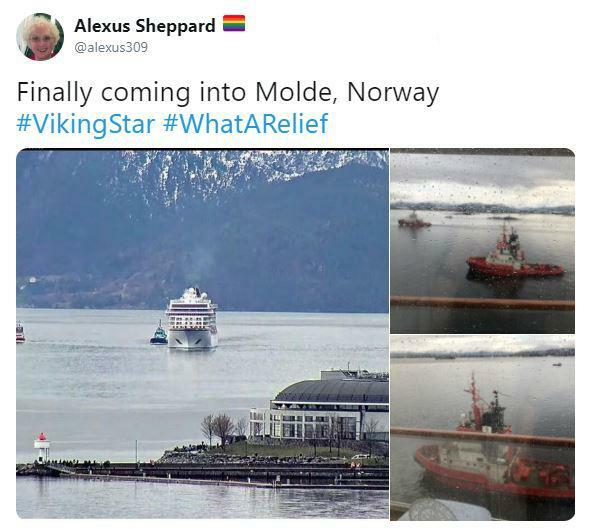 Alexus Sheppard is one of the passengers on The Viking Star, a cruise ship that was stranded right off the coast of Norway in a powerful turn of events that proved, cruise vacations can, in fact, get worse. I never understood the idea of going on a giant boat as a means of pleasure. First, it's an outmoded form of transportation. I'd get it if you were a sailor and were actually piloting the boat. 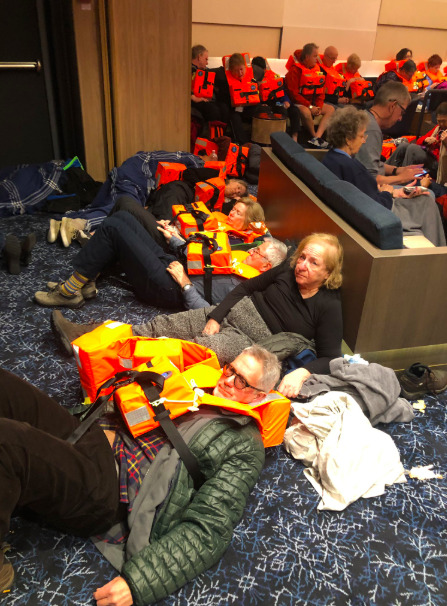 But sitting around as a passenger and engorging yourself on buffets while watching reheated versions of your favorite forms of entertainment — all of which you could do in any third-rate casino on, you know, land — doesn't sound like my idea of a good time. I get it if you're planning on murdering someone in international waters or are shooting an Indie film that takes place on a cruise ship and are going about it on the cheap, then boarding one of these things is a good idea. Putting all of my biases and confusion towards cruises aside, most of them usually go off without a hitch. But when one does encounter problems, it becomes a pretty big deal. I'm talking James Cameron/Leonardo DiCaprio big deal. I'm talking live-tweeting the disaster while the world watches big deal. 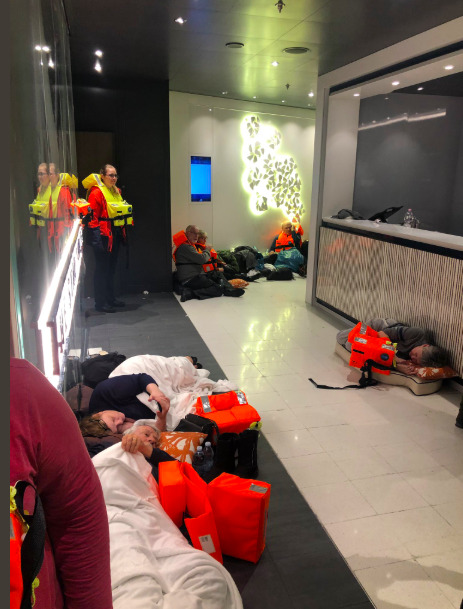 Picture it: you're aboard an enormous vessel filled with 1,300 passengers and all of you are waiting to be rescued by probably another cruise ship. While I'd probably be cowering in a corner, wondering why the heck I just didn't go to Atlantic City and try feeding dolphins pastrami like I do every summer, Alexus decided to whip out her phone and document the madness and sheer terror aboard. 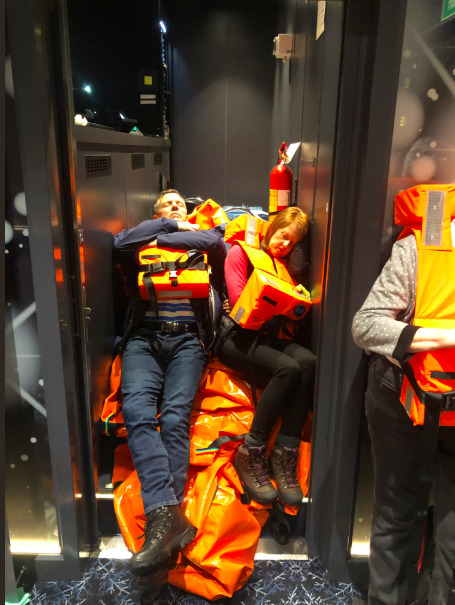 The boat was careening and swaying side to side, throwing people and furniture all about the deck like extras in a disaster movie. It's an absolute cluster-you-know-what. You've got the ceiling falling to bits and crashing onto people's heads. You've got furniture crashing into limbs and everyone doing their best to not topple over and get crushed by random objects as they wait for evacuation. 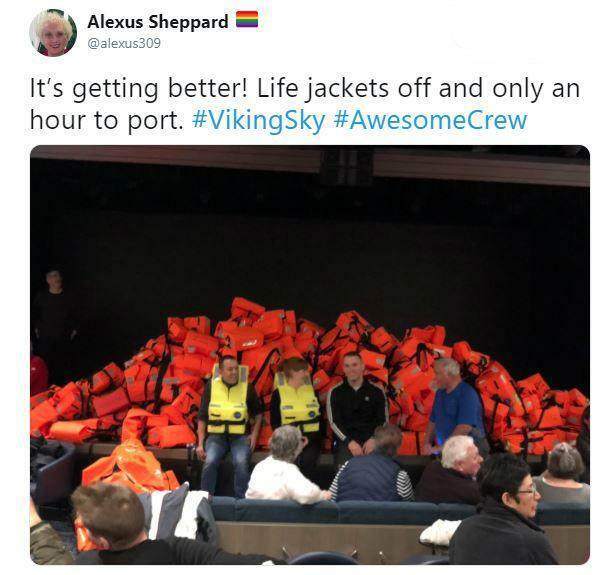 At least there was a lot of food on board, I imagine. 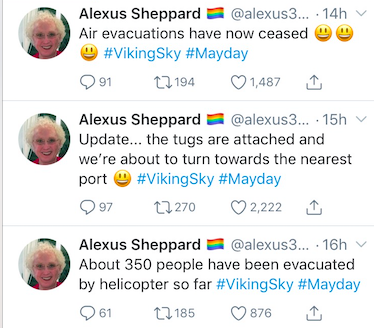 No matter what was going on, Alexus was heading the charge on recording everything as it happened and keeping people on the internet up to date. She's basically like the cameraman in that Cloverfield movie with a heck of a lot less shaky-cam action. 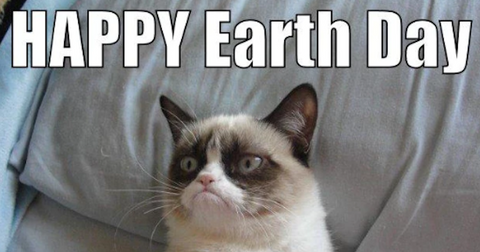 And tweets. People were taken aback, in a good way, about just how much care Alexus was taking in keeping everyone abreast of the situation. 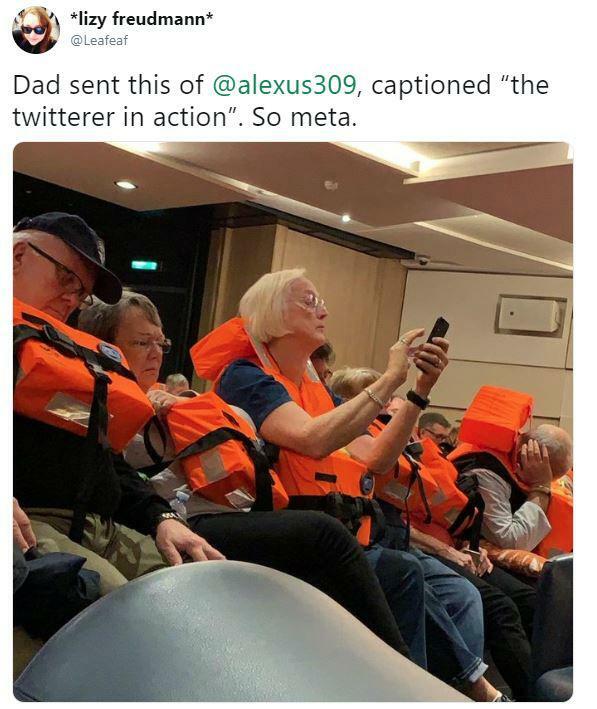 She was even DMing total strangers about conditions on the boat and letting them know about the status of the rescue procedures. She and Christiane Amanpour are basically twins. 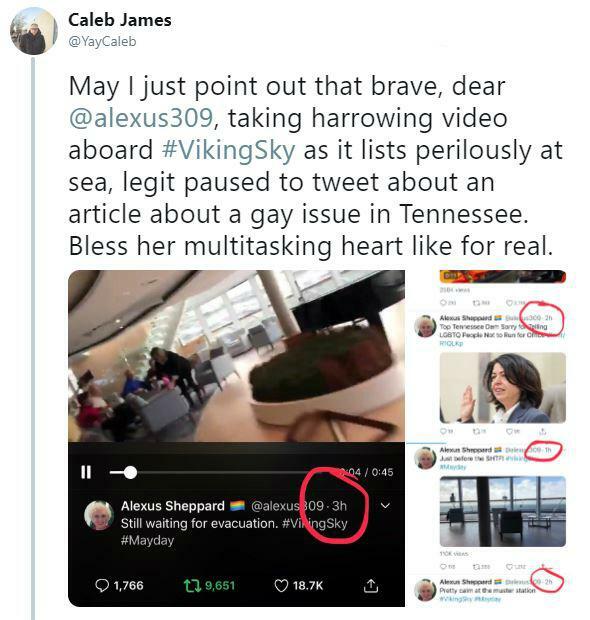 Also, she still managed to find time to tweet out stories in support of LGBT rights in the state of Tennessee. 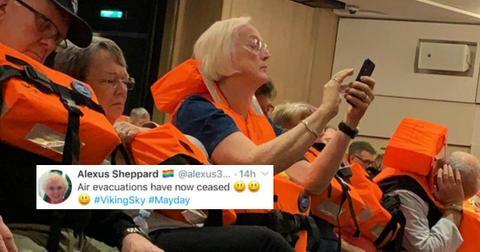 While it's easy to dismiss "armchair activism" from people who simply retweet and blog about important issues instead of "taking it to the street," it's easy to see that Sheppard's passion for this issue is shining through. Her life's in danger and yet here she is, still trying to call attention to an issue she believes in. 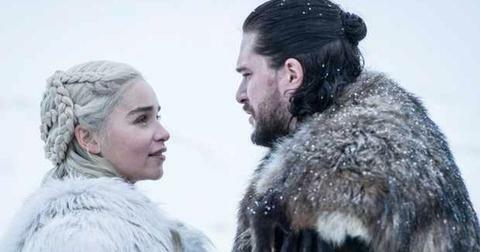 People were understandably floored by her dedication and that soon became about as big as a story as the cruise ship getting stranded. One might chalk it up to the fact that Alexus is an older woman and is holding her phone away from her face to "get a better look at it." But it's ultimately better for her neck to do so. 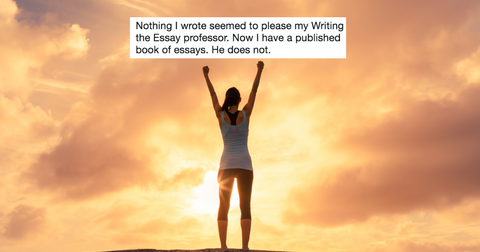 That's the narrative I'm believing in, anyway. In the face of peril, this woman still cares about posture, dang it, and that's something to appreciate. In case you're wondering, yes, the "major rescue efforts" were a major success. Everyone made it off-board safely and the vessel was eventually brought back to shore. 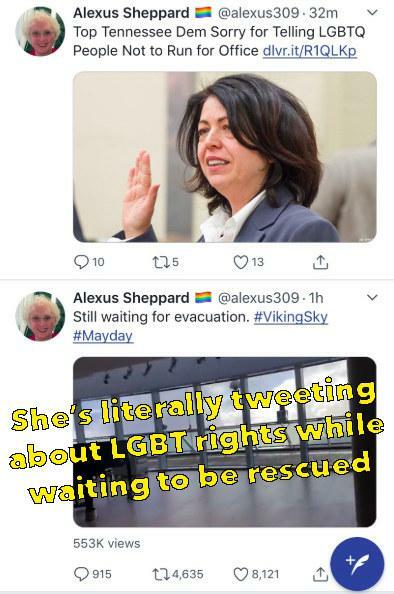 Still, even while they were waiting to be brought back, Alexus was still tweeting about LGBT issues and stories. 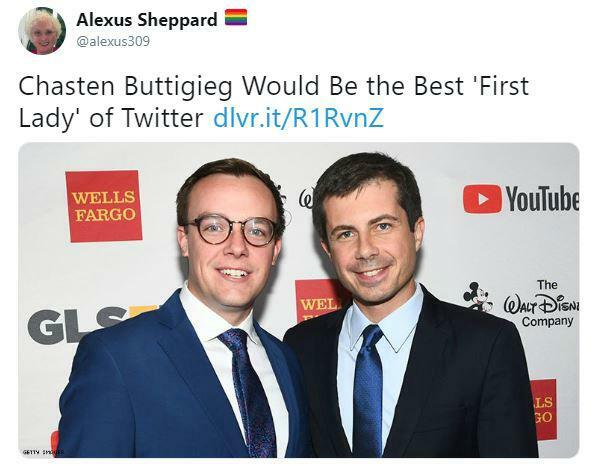 BuzzFeed hailed Alexus as a "new gay icon" and judging by her positivity and overall loveliness as a human being, as demonstrated by how she conducted herself in such a distressing time, I'd say that they're right. 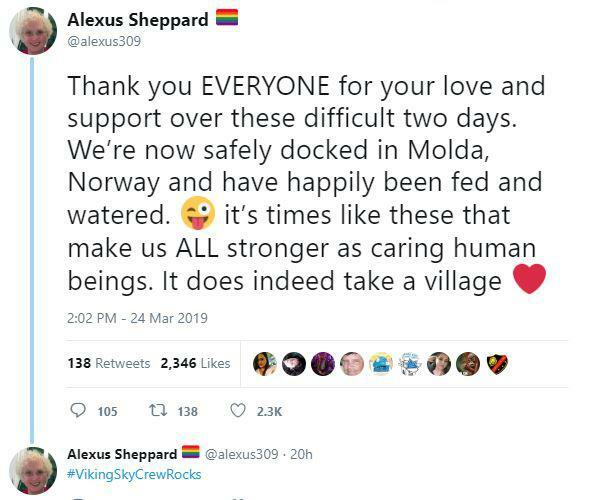 The fact that she applauded everyone and gave props to the Viking Sky crew and left this lovely message after the entire ordeal is a telling sign as to the quality of Alexus' character. 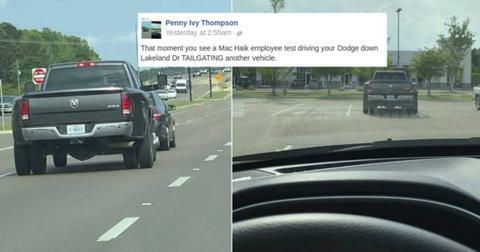 So, so awesome.